Core Manufacturing is a domestic manufacturer and supplier of precision fastening components; including cap screws, flange screws, nuts, washers, studs, anchor rods and other hardware. 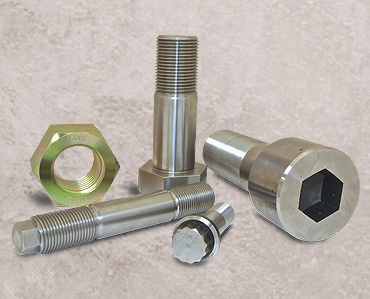 Our fasteners and metal components are made from certified materials by trained, experienced craftsmen with more than a century of combined fastener experience. We take pride in our quality control systems, efficient manufacturing processes and ability to provide custom or standard metal components for a wide range of industrial, aerospace and military applications. A rigorous internal quality program at Core Manufacturing ensures that all raw materials and products meet or exceed stringent standards, compliance requirements and customer specifications. Learn more about Core Manufacturing products and services.